Darren Ferguson says Doncaster Rovers must concentrate on winning their last three games and let results elsewhere take care of themselves. With Rovers five points adrift of safety with just three games left to play, Ferguson has described tomorrow’s home game with Coventry City as probably the club’s biggest in a long time. Elsewhere, two teams that Doncaster can still catch, Fleetwood Town and Blackpool, play each other. A Shrewsbury Town side also still very much in the thick of the relegation dogfight travel to play-off chasing Gillingham. However, Ferguson insists Rovers must focus purely on keeping their end of the bargain. 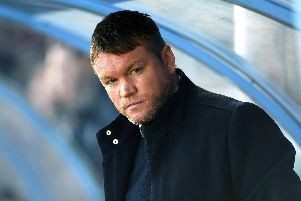 “There’s all sorts of permutations,” said Rovers’ boss. “If Fleetwood win you could go above Blackpool. If Blackpool win you can catch all three if Shrewsbury lose. “I could go on and on but it would drive me mad. “It doesn’t matter what the other results are, we have to win. We have to win three games. “I do think if we win on Saturday and we get the right results we’ve got a right chance going into the last two games. He added: “The message is simple to the players - just focus on the game in front of you and do your job, hopefully get the win and take it to the next one. “If we do that I’ll be happy. Ferguson has no fresh injury worries ahead of tomorrow’s game.